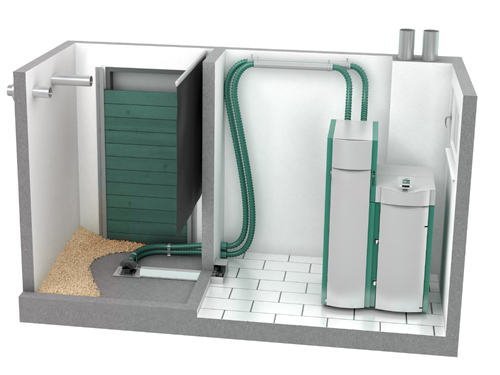 Pellergy’s Alpha series wood pellet boilers are one of the most advanced, efficient, and low maintenance wood pellet boilers available in the world. 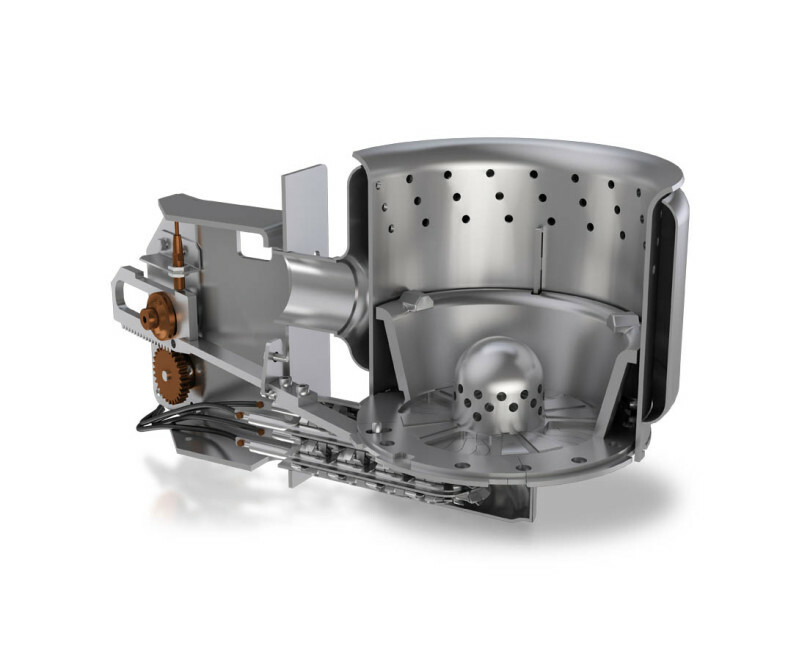 They are compact in design, integrating a 330 LBS hopper directly into the boiler itself for manual feed, or a vacuum transfer system for automated bulk feeding the boiler with pellets. 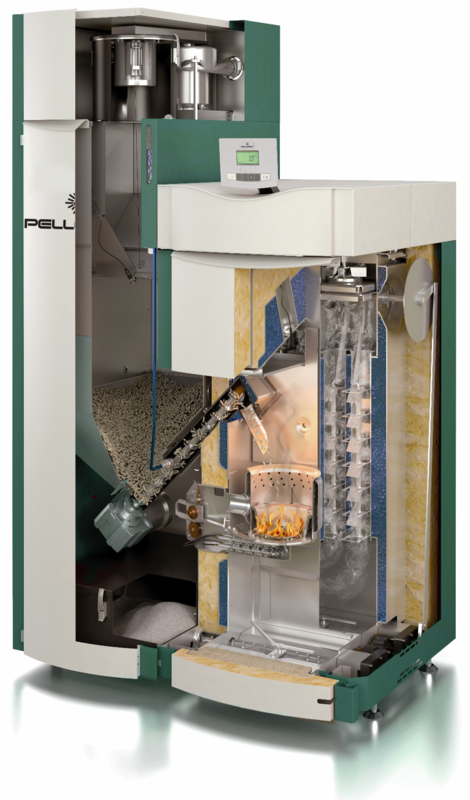 The wood pellet boiler bulk feed system can be fitted with a single suction probe for use with Pellergy’s fabric bulk bins, or up to three suction probes and an auto changeover unit for custom built bins or even a bulk pellet storage bunker. • Standard North American Wiring: No Voltage Converters, No 50Hz Motors to fail. 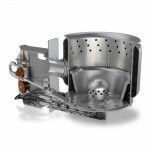 Pellergy’s Alpha series wood pellet boilers incorporate one of the most advanced ignition systems on the market with a dual ignition element design. Having built in redundancy in the ignition system is unique and ensures the highest level of reliability. The boilers will be certified to UL-391, CAN/CSA-B366.1-11 and EN-303.5. 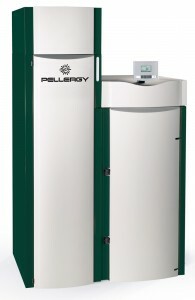 These wood pellet boilers will be referred to as the Pellergy Alpha Series. The cutaway drawing in Figure 1.1 shows the Pellergy Alpha boiler with integrated vacuum transfer system for use with bulk pellets. Dimensional data on the units can be found in Table 1.1 below. The concept of operation of the system is very similar to many of the other European designed and built systems available today with the added features of a unique burn chamber design for automated cleaning, the incorporation of a dual ignition element and an integrated ash container with a convenient handle and wheels for ease of routine maintenance. The Pellergy Alpha boiler burn chamber utilizes a unique and robustly engineered system consisting of two superimposed metal discs. The high temperature stainless steel discs incorporate an engineered hole pattern. By rotation of the upper disc, these holes are opened and closed. Ash lying on the “grate” is agitated, broken up and can fall below to the ash auger system. This system has been proven in tens of thousands of systems across the globe and hundreds in the US and Canada. 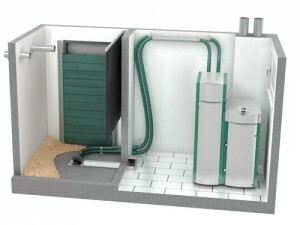 The installation of a Pellergy Alpha boiler is simple. The system has been engineered for true North American voltage: 120V AC, 60Hz. NO power converters, NO wiring for 240V AC, NO 50Hz motors nor controllers prone to failure. With the incorporation of a single vacuum suction probe as shown in Figure 1.3 above, the Pellergy Alpha boiler can run for weeks, even months with no routine maintenance other than emptying the ash box. The single vacuum suction probe installation works well with an outdoor storage silo as well. 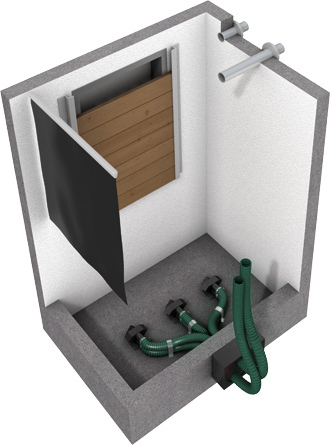 In larger storage rooms, or where more efficient pellet removal is desired, an auto changeover unit can be installed and accommodate three vacuum suction probes as shown in Figure 1.4. In this installation, the auto changeover unit will pull pellets from each probe equally. Where installations require larger than the output of one Pellergy Alpha boiler, multiple boilers can be installed and cascaded through the use of a boiler management system. The Pellergy Alpha boiler controls accommodate all standard US and Canadian boiler management systems and require only a simple normally open contact to activate. 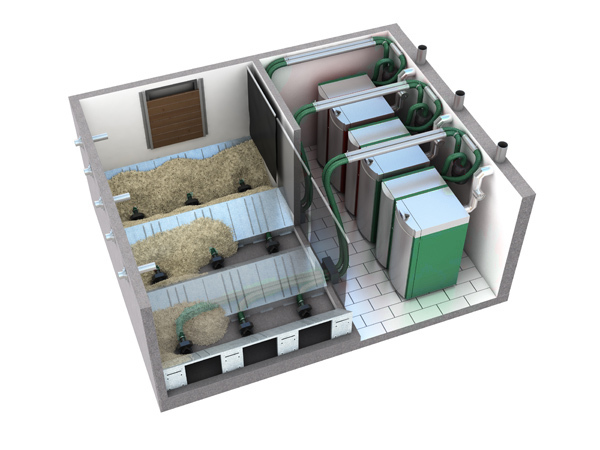 Figure 1.5 shows the installation of three Pellergy Alpha boilers, each pulling pellets from a single pellet storage room configured with an auto changeover unit. Through cascading multiple smaller boilers, a space can be heated at peak efficiency throughout even the shoulder months of the heating season. 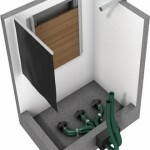 More information is available in the Alpha Boiler brochure.